Apple’s latest mobile operating system was released less than two weeks ago and already it has surpassed the combined adoption of Android’s 2 latest offerings. iOS 10 was released on Sept 13 to coincide with the release of the iPhone 7. 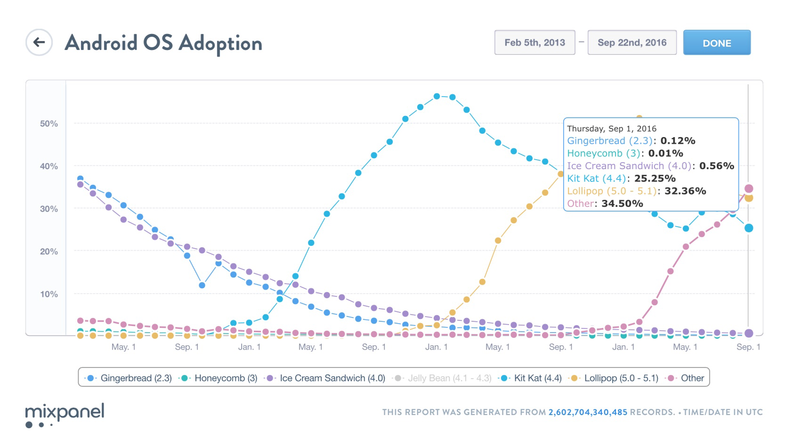 As of Sept 19 the iOS adoption had already hit 36% according to Mixpanel Analytics. 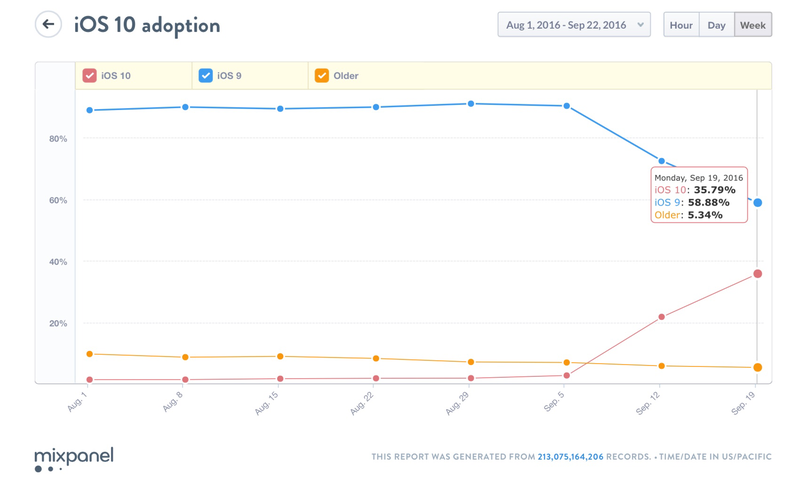 The combined use of iOS 9 and iOS 10 has reached at staggering 95%. That leaves only 5% of iPhone using an operating system over 12 months old. Most of these 5% are still carrying legacy devices that are physically unable update. Many of these users will likely upgrade within the the next year as these devices reach end of life. iOS 10 is compatible as far back as the iPhone 5 which was released in Sept 2012. In stark contrast even new Android phones often wait 5 months or more for carriers to allow an over the air software update. This is exactly why I love iOS more than android. They provide the updates really fast to all their users after launching unlike android.